Metal, cerAmic, lingual invisible and invisalign aligners are available.. IT is a revolutionary system for straightening crooked teeth and closing gaps between the teeth where earlier traditional metal wire braces were used. The system utilises the latest computerised technology and 3 D modelling to generate a series of clear , see through aligners and clear braces.They are virtually unnoticeable when you are wearing them. Orthodontics is the branch of Science and the art of dentistry which deals with the development and positional anomalies of the teeth and the jaws as they affect oral health and the physical, esthetic and mental well being of the person. 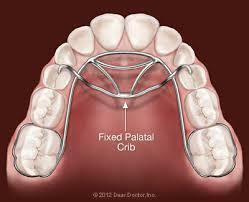 It is a special branch of dentistry which deals with the alignment of the teeth. Orthodontia is a branch of dentistry which deal with abnormalities of teeth and face especially mal-aligned or crocked teeth which require straightening. A few lucky people have naturally straight and aligned teeth for the rest orthodontia is the line of treatment. Not many of us are blessed with well arranged teeth or so called ideal occlusion. We very often come across many children and adults having teeth that are protruded teeth or crowded teeth or spaced teeth etc. These irregularities of teeth are called malocclusions and are an important factor in robbing one of a good smile. The most common requirement for orthodontics intervention, after the malocclusion are space regaining and space closing. - Our Group of Dental Clinics offers Advanced Orthodontic treatment for children and adults. Our Team of Orthodontic Specialists headed by Dr. Joy Antony are very well experienced and offer comprehensive orthodontics using the latest techniques available now. • Smile correction by enhancement of facial profile. If your teeth are crowded, appear to be jetting out, spaced too far apart, meet in an abnormal way, or do not meet at all, correction may be recommended via Orthodontics. We are engaged in providing Dental Care Services such as Orthodontics. invisalign or clearpath treatment to straighten your crokeed tooth. Shy to smile because of zig zag or malpositioned teeth Experience new age Orthodontics with German braces and invisible aligners (Invisalign, Clear Path) and get super fast results.